Designed in the early 1930s, it was one of the three main Luftwaffe bomber types used in the first three years of the war. The Do 17 made its combat debut in 1937 during the Spanish Civil War, operating in the Legion Condor in various roles. Along with the Heinkel He 111 it was the main bomber type of the German air arm in 1939-40. The Dornier was used throughout the war, and saw action in significant numbers in every major campaign theatre as a front line aircraft until the end of 1941, when its effectiveness and usage was curtailed as its bomb load and range were limited. Production of the Dornier ended in the summer of 1940, in favour of the newer and more powerful Junkers Ju 88. The successor of the Do 17 was the much more powerful Dornier Do 217, which started to appear in strength in 1942. Even so, the Do 17 continued service in the Luftwaffe in various roles until the end of the war, as a glider tug, research and trainer aircraft. A considerable number of surviving examples were sent to other Axis nations. Few Dornier Do 17s survived the war. The last was scrapped in Finland in 1952. On 3 September 2010, the Royal Air Force Museum London announced the discovery of a Dornier Do 17 buried in the sands off the coast of Kent, England. The aircraft is in good condition, and owing to its unique and rare stature, the Museum is making plans to protect the bomber and to raise it. In 1932, the Ordnance Department (Heereswaffenamt) issued a specification for the construction of a "freight aircraft for German State Railways", and a "high speed mail plane for Lufthansa". The factory at Friedrichshafen began work on the design on 1 August 1932. When the Nazis took power in 1933, Hermann Gx�ring became National Commissar for aviation with former Lufthansa employee Erhard Milch as his deputy, soon forming the Reichsluftfahrtministerium (RLM - Air Ministry). The RLM designated the new aircraft Do 17, and on 17 March 1933, just three months after taking office, Milch gave the go-ahead for the building of prototypes. At the end of 1933, the RLM issued an order for a "high speed aircraft with double tail," and for a "freight aircraft with special equipment," in other words, a bomber. The original design (the Do 17 V1) configuration in 1932 had sported a single vertical stabilizer, and Dornier continued developing that model. The Do 17 was first demonstrated in mock-up form in April 1933. The "special equipment" was to be fitted later, to disguise its offensive role. In April 1934, the Dornier works at Manzell began project "definition." During this month, the defensive armament was designed and the bomb release mechanism details ironed out. Production of these prototypes began on 20 May 1934 and, on 23 November 1934, the Do 17 V1, with a single fin and powered by two BMW VI 7.3 motors, took off on its first flight. Testing was delayed by a series of accidents, with V1 being damaged in landing accidents in February and April 1935. The twin-tailed V2 (powered by low-compression BMW VI 6.3 engines) first flew on 18 May 1935 and was evaluated together with the V1 by the RLM at Rechlin in June. During the tests, the single fin proved to be only marginally stable, resulting in the V1 being modified with a twin tail. The aircraft was destroyed in a crash after an engine failure on 21 December 1935. The V3, also fitted with a twin tail, was originally planned to be powered by Hispano-Suiza 12Ybrs engines, but as these were unavailable, it was fitted with BMW VI 7.3 engines like the V1 and flew on 19 September 1935. The V1 prototype remained the only built machine with the single stabilizer. It is claimed that, unlike the Heinkel He 111 series, whose military use was planned from the start, the Do 17 V1 was contracted as a fast six-passenger mail plane to compete with the smaller Heinkel He 70 monoplane It has been suggested that it was rejected by Lufthansa, as the cramped cabin was too uncomfortable for passenger use and the operating costs also were too high for a mail plane. According to the story, the three prototypes remained unused in the Dornier factory in Lowental for almost six months, until Flight Captain Untucht of Lufthansa came across them. After receiving permission to fly one of the machines, he proceeded to put it through an almost stunt flying routine. After landing, he said that "the machine is as nimble as a fighter, give it more lateral stability and we'll have a high speed bomber!" Untucht's comments prompted Dornier to redesign the tail unit and revived interest in the type. Dornier was then ordered to produce the V4 prototype. Some sources state this differed from the V3 in that the passenger portholes were removed and the single fin was replaced with two smaller ones. Photographic evidence demonstrates the V3 had twin stabilizers from the start of its construction. The tests of the "twin-tailed" V4, V6 and V7 prototypes were positive and more prototypes like the V8 emerged as the forerunner of the long-range reconnaissance version, while the V9 was tested as a high-speed airliner. The V9 machine was still flying in 1944. The cockpit and forward fuselage had a conventional stepped cockpit and its nose was fully glazed. Early variants had been labelled the "flying pencil" owing to its sleek and continuous "stick-like" lines. As a result of the lessons learned in the Spanish Civil War, the cockpit roof was raised and the lower, or bottom half, of the crew compartment was extended outwards to create an extra gun barbette position. The compartment was extended back to the leading edge of the wings where the lower-rear gunners position and upper-rear gunner position were level with each other. The cockpit layout consisted of the pilot seat and front gunner in the forward part of the cockpit. The pilot sat on the left side, close up to the Plexiglas windshield. One of the gunners sat on the right seat which was set further back to provide room for the 7.92 mm (0.312 in) MG 15 machine gun to be traversed in use. Usually the Do 17 would have a crew of four in the aircraft: the pilot, a bomb-aimer and two gunners. The bomb-aimer would man the MG 15 in the nose glazing and rear lower position. The two gunners would operate the forward-firing MG 15 installed in the front windshield, the two MGs located in the side windows (one each side) and the rearward firing weapon. The cockpit offered a bright and panoramic view at high altitude. The standard ammunition load was 3,300 rounds of 7,92 mm ammunition in 44 double-drum magazines. The wings were of a broad 55 m� (590 ft�) area and had a span of 18 m (59 ft 0⅝ in) and had a flat leading edge which curved in a near-perfect semi-circle into the trailing edge. The positions of the wing roots were offset. The leading edge wing root merged with the top of the fuselage and cockpit. As the wing extended backwards, by roughly two-third, it declined downwards at a sharp angle so that the trailing edge wing root ended nearly half way down the side of the fuselage increasing the Angle of attack. This design feature would exist on all future Dornier bomber designs, namely the Dornier Do 217. The trailing edge was faired into the round fuselage shape. The engine nacelle was also faired into the flaps. The extreme rear of the nacelle was hollow and allowed the flap with an attached vertical slot to fit into the cavity when deployed. The fuselage was 15.80 m (51 ft 9⅝ in) long. It was thin and narrow which presented an enemy with a difficult target to hit. The fuselage had twin vertical stabilizers to increase lateral stability. The power plant of the Z-1 was to have been the Daimler-Benz DB 601 but, owing to shortages, it was allocated Bramo 323 A-1 power plants. The Bramo's could only reach 352 km/h (220 mph) at 1,070 m (3,500 ft). The limited performance of the Bramo 323s ensured the Do 17 could not reach 416 km/h (260 mph) at 3,960 m (13,000 ft) in level flight when fully loaded. The range of the Do 17Z-1 at ground level was 635 nautical miles (1,021 km); this increased to 1,370 km (850 nm) at 4,700 m (15,500 ft). This gave an average attack range of 400 nmi (740 km). The introduction of the Bramo 323P increased the Z-2 performance slightly in all areas. The Dornier did carry an important defensive measure, namely self-sealing fuel tanks to protect the fuel cells which were in the wings and fuselage. This reduced the loss of fuel and risk of fire when hit in action and often made the return journey possible. Oxygen was provided in the form of 20 bottles for crew use during long flights above 3,660 m (12,000 ft). Communications usually consisted of FuG X, the later FuG 10 (Funkgerx�t), navigational direction finder PeilG V direction finder (PeilG - Peilgerx�t) and the FuG 25 IFF and FuBI 1 blind landing devices. The crew communicated by EiV intercom A primitive autopilot device, the Siemens K4x�, was installed that could maintain bearing using the rudder's control surfaces. The bomb bay accommodated four bomb racks, the No. 5 for SC50 bombs and two ETC 500 racks to carry heavier loads of up to 500 kg (1,100 lb) each. A Lofte A, or B bombsight was issued together with the BZA-2 aperture (a modernised optical lens system). The aircraft's bomb bay allowed two options. The first was to carry four 250 kg (550 lb) bombs for a load of 1000 kg (2,200 lb), then range would be reduced. If however, the unit decided to carry only half the maximum load of ten 50 kg (110 lb) bombs, then additional fuel tanks could be placed into the forward part of the bomb bay to increase range. The bomb aimer would deploy the bomb load via the Lofte (A, B or C 7/A, depending on the variant) bomb sight which was situated in the left side of the nose compartment and positioned directly under and forward of the pilot. When fully loaded, the Z-1 weighed 7,740 kg (17,200 lb). The initial production variants were the Do 17 E-1 bomber, which was tested with two Daimler-Benz DB 600, and F-1 reconnaissance aircraft, powered like the early prototypes with BMW VI engines, which entered production in late 1936. The first Luftwaffe units converted to the Do 17 in early 1937. Dornier, meanwhile, planned a more advanced version of the Do 17, with more modern and powerful engines. A prototype was tested with the Hispano-Suiza 12Ybrs engines intended for the third aircraft, while other aircraft flew with BMW 132 or Bramo 323 radial engines. The Do 17 E-1 was equipped with two BMW VI 7.3D inline engines of 750 PS each. The crew numbered three. The radio operator manned the two 7.92 mm MG 15 machine guns within a B-Stand pod in the rear cockpit. They had 750 rounds of ammunition. The bomb bay was divided into two compartments. Each had five bomb racks with individual capacity of 50 kg (110 lb). A single ETC 500/IX bomb rack could be mounted externally underneath the aircraft to carry a 500 kg bomb. A Do 17 E-1 with the designation D-AJUN was tested with an unusual configuration, two SC 500 bombs mounted side by side under the fuselage. It showed a notable performance reduction due to the increase in weight and drag, this configuration was not used operationally. The E-1 continued to carry low bomb loads into the Second World War. The performance of the E-1 enabled it to reach a speed of 330 km/h (205 mph) at 3,000 m (9,842 ft). Conducting a shallow dive the light frame of the Do 17 could reach 500 km/h (310 mph). Its maximum ceiling was 5,500 m (18,044 ft). Several E-1s were rebuilt as E-2 or E-3, at least three E-2 and one E-3 were used by DVL and Hansa-Luftbild GmbH (Hansa Aerial Photography Ltd) in a secret military reconnaissance role prior to the war. The F-1 was a long-range reconnaissance aircraft based on field modified Do 17Es. The Do 17 prototype V8 was used to test the configuration of the F-1 and V11 for the F-2. The defensive armament consisted of a MG 15 in the B- and C-Stand (B-Stand - an upper rear firing position, C-Stand - lower gun emplacement). The fuselage had two cameras along with six ejector tubes for flashlight cartridges. The F-1 would see service until replaced by the Do 17 P in 1938. Only one F-2 was ever built, it was designated D-ACZJ and was used by Zeiss-Jena Company as a factory aircraft. Conversion of two E-2 series aircraft with two BMW 132 F radial engines led to the Do 17 J-1 and J-2. These aircraft served as flight testing machines to evaluate the BMW 132 for usage in the Do 17. The aircraft were the V18 (Wrk Nr, or Werknummer meaning works/factory number, 2021) and V19 (Wrk Nr 2022) prototypes. Trials began in late 1937. A similar conversion, but with Bramo 323 radial engines, led to the designation Do 17 L-1 and L-2. Two Do 17 (Wrk Nr 2031 and 2032) were renamed as V20 and V21 prototypes and used to evaluate the Bramo 323 fur usage in the Do 17. The test were satisfactory and all future production models would be equipped with this engine. Dornier-built aircraft has already earned an excellent reputation among Yugoslav aviators for their quality, reliability, durability and serviceability record. Dornier designs had been delivered to the Pomorsko Vazduhoplovstvo (Naval Aviation - PV) in 1926, namely the Dornier Komet and Dornier Do Y heavy bombers. The Yugoslavs were familiar with Dornier designs, and on 19 November 1935 Yugoslav pilots test-flew the Do 17 V-3 prototype, D-ABIH, W.Nr. 258. They decided to select the Do 17 for service, despite it being more expensive than any other aircraft, because of the German willingness to deliver them quickly without limitations on numbers. After seeing the Do 17M V1 at the Zx�rich air races in 1937, the Yugoslav Royal Air Force bought license rights for production at the Drzavna Fabrika Aviona factory in 1938. They equipped it with the more powerful Gnome-Rhx�ne 14N radial engine (although the French exaggerated its performance) and replaced its original armament with a 20 mm Hispano-Suiza HS.404 cannon and three 7.92 mm (.312 in) Browning machine guns. Three variants were built in Yugoslavia. The first was the Do 17 Kb-1 bomber aircraft and the second, the Do 17 Ka-2 reconnaissance aircraft. The final variant was the Do 17 Ka-3 reconnaissance aircraft. There was little difference between the Ka-1 and Ka-2, save for the enlarged aft turret being moved slightly further back on the latter model. The Ka-3 was slightly more advanced. Based on the M-1, the under-surfaces of the wing were covered with duralumin and it had a wider engine axis and longer engine nacelles. The Do 17 L-0 and Do 17 M-0 were developed in parallel as replacements for the earlier E and Fs, the L being the reconnaissance version. Both were designed around the more powerful DB 600A engines, delivering about 746 kW (1,000 hp). Two L and one M versions were built as prototypes, both with another MG 15 in the nose. The first prototype of the revised version, the Do 17M V1 (D-ABVD) was powered by two DB 600s, and demonstrated impressive performance, including a maximum speed of 425 km/h (264 mph). At the International Military Aircraft Competition at Zx�rich, Switzerland in 1937 the Dornier Do 17M V1 proved a leader in its class and was faster than the fastest foreign fighter, the French Dewoitine D.510. The Do 17, along with the Messerschmitt Bf 109, won many prizes, demonstrating the prowess of German aviation design. Despite this, owing to shortages in the supply of the Daimler-Benz engine, the production Do 17M was fitted with the Bramo 323 engine, with the corresponding reconnaissance aircraft, the Do 17P, being powered by BMW 132Ns to give better range. The supply of the DB 600 remained extremely limited as production was soon switched over to the fuel-injected DB 601, which was reserved for the Messerschmitt Bf 109 and Messerschmitt Bf 110 fighters. Therefore production versions of the basic Do 17M model airframe were fitted with the new Bramo 323A-1 Fafnir of 670 kW (900 hp), which gave reasonable performance and raised the bomb load to 1,000 kg (2,200 lb). The resulting Do 17 M-1 was produced in small numbers and operated until 1941. 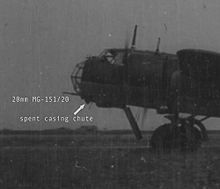 The prototypes for the M-1 series were MV1 (Wrk Nr 691) and MV2 (Wrk Nr 692) which were tested with bomb loads of a medium bomber. The third prototype, MV3 was evaluated as a fast bomber. The MV1 was fitted with two Daimler Benz DB 601 inline engines while the MV2 and MV3 had the Bramo 323 A and D respectively. The RLM favoured the widespread use of the DB 601, but demand for the DB 601s in fighter aircraft and the lack of production forced the use of the Bramo. The Do 17M-1 started its service as a medium bomber and was able to carry 2,200 lb (1,000 kg) of bombs. It was equipped with two air-cooled Bramo 323 A-1 or A-2. The defensive armament consisted of two, and later three, MG 15 machine guns. The first was operated in an A-Stand pod operated by the navigator through the windshield. The position was allocated 370 rounds of ammunition. The rearward firing B-Stand was operated by the radio operator and allocated 750 rounds. The rear position in the lower fuselage was allocated 375 rounds in a C-Stand pod. The Do 17M could carry a bomb load of either 20 SC50 50 kg (110 lb) or two SC250 500 kg (1,100 lb) bombs or 10 SC50 and a single SC250 bomb. The speed of the M was superior to that of the E variant. The Do 17M could reach 420 km/h (250 mph) at altitudes of 3,500 m (11,500 ft) and could achieve a maximum service ceiling of 5,790 m (19,000 ft) and a range of 850 nautical miles (1,570 km). The demand for a reconnaissance aircraft based on the M-1 led to the development of the P-1 variant. The L version would not be able to enter production with the DB 600 owing to its use in the Bf 109, and the Bramo engine was rather thirsty on fuel and left the M models with too short a range for reconnaissance use. BMW 132N radials of 865 PS were selected instead, which had lower fuel consumption for better range. Another two prototypes with DB 600 engines were produced as the Do 17 R-0, but did not enter production. During reconnaissance missions the P-1 was armed with four MG 15s in the A, B and C-Stands. One machine gun was located in the rear of the cockpit, another in the lower rear cockpit, one facing forward through the windshield and the other in the nose glazing. In earlier variants the B-Stand (the gun position in the upper rear cockpit) was open to the elements, but the P-1 now provided a enclosed bulb shaped mount protecting the radio operator from the weather. The P variant had similar features to the Do 17 M-1, with added blind flying and camera equipment for reconnaissance work. The Do 17 P was powered by two Bramo 132 N radial engines with a maximum performance of 865 PS (853 hp, 636 kW) each. The machine was fitted with several radio variations. The FuG IIIaU radio (Funkgerx�t), the PeilG V direction finder (PeilG - Peilgerx�t) and the FuBI 1 radio blind-landing device (FuBI - Funkblindlandegerx�t). The crew of three communicated with each other via the EiV intercom (EiV -Eigenverstx�ndigungsanlage). The P-1 was equipped with either Rb 20/30 and Rb 50/30 or Rb 20/18 and Rb 50/18 cameras. The P-1/trop was fitted with filters and protection for the cameras. The cameras were controlled remotely by the crew from the cockpit. Due to a shortage of night fighters, at least one Do 17 P-1 was assigned to this role. A smooth metal sheet was installed in place of its glass nose and it was armed with three 20 mm (0.79 in) MG 151/20 cannons. The machine operated under Luftflotte 1. The Do 17 P-2 was identical to the P-1, with the additional installation of an ETC 500 bomb rack under the fuselage. These aircraft were designed for night reconnaissance. It is assumed that Dornier converted most, if not all, P-2 models from existing P-1 production aircraft. Unlike the P-2, the R-1 did not see series production. The experiences of the Spanish Civil War proved that unarmed aircraft were easy prey for fighter aircraft. The R-1 was to be a fast long-range reconnaissance aircraft with two additional fuel cells inside the fuselage aft of the bomb bay. Two variants were suggested, the first (variant I) had a single Rb 50/30 and two Rb 20/30 cameras, while variant II had a third fuel cell to replace the rear Rb 20/30. The aircraft had a gross weight of 7,250 kg (16,000 lb) but could be overloaded to 7,500 kg (17,000 lb) in emergencies. The crew usually numbered three, but a fourth was added depending on the missions to be flown. To achieve a high performance at increased altitudes two DB 600 Gs were to be used. The power plants were tested in the Do 17RV1 prototype coded D-ABEE. The second, the RV2, coded D-ATJU, received the even more powerful DB 601 Aa engines. The power plant of the R-1s that did exist are not known. The lessons from the Spanish Civil War had led Dornier's designers to incorporate more defensive machine guns. Battles with Soviet-built fighter aircraft had demonstrated that the Dornier was not as fast and invulnerable as was first thought. To cope with this, a completely new pod-like cockpit was designed to give the crew more room and better visibility. The roof was extended upward over the line of the fuselage, sloping down to meet it just in front of the wing. The dorsal gun was moved to the rear of the pod where it had a considerably better field of fire. Likewise, the floor was dropped under the fuselage and the ventral gun moved to the back of the pod, allowing it to fire directly to the rear. The changes in the roof and floor made the whole front of the aircraft much larger. The rest of the airframe remained the same. The new cockpit design was nicknamed Kampfkopf (German: "Battle head"). Three S variant prototypes with the DB 600 G inline engines were tested. The S-01 (designation D-AFF), 03 and 04 were flown. The inverted V-12 engines were constructed as the Do 17 S-0 reconnaissance version, but it did not go into production. An additional 15 Do 17 U-1 pathfinder models were built, similar to the S-0 but adding an additional crewman (taking the total to five) to operate the extra radio equipment. The U models were to fly ahead of other bombers on night missions, using the radio equipment to locate the target and drop flares on it. They were personally requested by KG 100 as experimental models for this role. The U-1 had a maximum speed of 265 mph (424 km/h) and a combat ceiling of 4,500 m (15,000 ft). The U-1 had a cruising speed of 384 km/h (240 mph) and a maximum reachable height of 5,700 m (19,000 ft), owing to the "rather low performance of the Bramo 323 A-1 engines". The three prototypes (U-01 - U-03) and twelve production aircraft were built by 1938. The Dornier Do 17Z series was the most recognised and mass produced variant, and saw more combat service than the E-U types. The type was modified as a result of combat experience during the Spanish Civil War. The forward fuselage was redesigned, with the cockpit area being "dropped", or extended further to enable a rear firing gunner position to be installed, and the canopy extended aft, until it was nearly parallel with the leading edge and wing root. Picture - Two Do 17Zs in a maintenance hangar. The detached Bramo 323s power plants can be seen. At first, a batch of Z-0s were built with the Fafnir for testing, the DB 600 again proving to be too hard to obtain. These were quickly replaced with the Z-1 model, which added another gun for the bombardier, but the additional weight of the nose and guns meant the bomb load was reduced to 500 kg (1,100 lb). The Luftwaffe, not being satisfied with the test outcome of the Z series, immediately ordered performance and design studies to increase the overall performance of the bomber. These resulted in very optimistic speeds and altitudes for all future Z variants, especially for the Z-5 aircraft. Planned performance altitudes of up to 7,620 m (25,000 ft) at a maximum speed of 418 km/h (260 mph) with an aircraft weight of 8,100 kg (17,800 lb) were planned. Unfortunately, production aircraft never reached these optimistic performances during the service career of the Do 17Z. At 7,740 kg (17,200 lb), the heavy Do 17Z-1 used two Bramo 323 A-1 engines with self-sealing fuel cells in the fuselage and wings. The crew of four consumed approximately 20 bottles of oxygen during long flights above 3,700 m (12,100 ft). The Do 17Z-1 had a speed of 352 km/h (220 mph) at 1,100 m (3,500 ft). However, the performance of the Bramo 323s did not permit the Do 17 to reach 416 km/h (260 mph) at 3,900 m (13,000 ft) and level flight when fully loaded. Range of the Z-1 at ground level was 635 nautical miles (1,021 km) while at 4,700 m (15,500 ft) this increased to 850 nm (1,367 km). This gave an average range of 400 nm (643 km). The introduction of the Bramo 323P increased subsequent performance in the following sub variants. This was addressed in the major production model, the Do 17 Z-2. The Z-2 mounted the new 323P-1 version of the Fafnir with 746 kW (1,000 hp), which was specifically tuned to the performance needs of the Do 17 by decreasing supercharger power at lower altitudes and thus improving low-level performance. The increase in takeoff power allowed the bomb load to be increased from 500 kg (1,102 lb) to 1,000 kg (2,200 lb). However, with a full bomb load the combat range with a 1,000 kg (2,200 lb) bomb load was a very short 330 km (200 mi). The armament was further upgraded by adding an additional pair of guns firing out of the sides of the upper part of the pod, but as the three guns were all fired by a single gunner, only one of them could be fired at a time. From May 1940, 422 Do 17 Z-2s flew with Kampfgeschwader 2, Kampfgeschwader 3, Kampfgeschwader 76 and Kampfgeschwader 77. The upgrades of the Z-2 had its overall weight increased from 17,600 lbs to 17,920 lbs (7,983 to 8128 kg). After heavy losses of Do 17s during the Battle of Britain it was decided to replace the MG FF cannon with the more powerful MG 151/15. Losses had mounted in spite of an increase of up to eight machine guns in some Dorniers. The standard MG 15 machine guns were retained. These features were present in the next variant the Z-3. The Z-3 formed part of the bomber versions of the Z series, it was, however, also used as a reconnaissance aircraft by the staff flight of the particular unit. The engines and the general equipment were identical to the Z-2 standard; however two cameras - the Rb 50/30 and Rb 20/30 - were incorporated into the crew entry hatch. A handheld camera was issued to the crew to validate the success during bombing missions. Autopilot equipment was added later. The Z-2 and Z-3 were identical visually, and could only be distinguished from each other by the altered crew hatch on the Z-3. Owing to spacing problems because of the added camera equipment, the ammunition supply was reduced from 44 to 42 magazines. The power plant of the Z-3 was upgraded to the Bramo 323P-2. The Bramo P-2 remained the engine of all the remaining Z series variants. The Z-5 was similar to the Z-3 with a weight of 19,000 lb (8,600 kg). Designed as an anti-shipping aircraft, the Z-5, was fitted with flotation cells in the fuselage and engine nacelles in case it was forced down on water. Usually the flotation devices took the form of inflatable bags stored in the rear of the engine nacelles and in bulges on either side of the nose, just behind the front glazing. Later variants of the Z model were developed. The Z-6 was to be a reconnaissance aircraft, although it was only built as a prototype. During the war only a few were converted from existing combat variants. The type was selected for weather check flights. It was identical to the Z-1/Z-2 variants, but offensive armament was omitted and extra fuel cells fitted. This increased the fuel load to 2,890 l (578 Imperial Gallons). As flights required higher altitude, the oxygen supply was increased from 20 to 24 bottles. For long-range flights over water, the larger dinghy of the Z-5 with its updated emergency escape equipment was mandatory during operations. The Z-6s were also used for night fighter operations. Some of the few converted Z-6s had the Ju 88C-6 nose installed and were equipped with machine guns and cannons. The nose proved to be unsatisfactory, and it was redesigned. In the tip of the new nose was an infrared spotlight which was soon made redundant after the introduction of Lichtenstein radar which was fitted to some of the Z-6. The Z-9, which was fitted with special bomb release equipment, and delayed release gear for low-level attack missions. Its purpose was to suppress enemy air defences. Therefore it was designed to fly over anti-aircraft positions and drop small bomblets, an early form of cluster bomb munitions. This could only be done with air superiority, as the Z-9 was unarmoured. The airframe and equipment was identical to the Z-1/Z-2 version. Only the bomb bay was altered to accommodate 16 bomb-dispenser systems. The maximum weight of the Z-9 was 7,800 kg (17,000 lb). The design did not reach serial production. After bomber production ended in 1940, the Z model was modified with a "solid" nose from the Ju 88C, fitted with one 20 mm MG FF cannon and three 7.92 mm (.312 in) MG 17 machine guns, to be used as night fighters. Three prototypes were converted from existing Z-series airframes to the Do 17 Z-7 Kauz I ("screech-owl") configuration. The standard Z-7 was fitted with Bramo 323P-1 radial engines and had a crew of three airmen. In comparison to the standard bomber version, the fuel load arrangement was altered by subdividing into cells. Two cells were in the wings, with a capacity of 770 litres (154 imperial gallons) each. A third fuel cell was placed in the bomb bay within the main fuselage, having a capacity of 895 litres (179 imperial gallons). The oxygen supply for the three man crew was reduced to nine bottles, as intercepts at high altitudes were not anticipated. Add-on armour in the form of heavy steel plates was bolted to the nose bulkhead to protect the crew against frontal fire. Originally, it was planned to completely armour the crew compartment. This idea, was given up again as the increased weight would have reduced flight performance of an already slow aircraft. The ammunition loads for the three 7.92 mm MG 17 amounted to 3,000 rounds and a single and 400 rounds of ammunition for the 20 mm MG 151 cannon (although some Do 17Z bombers carried a single 20 mm for ground attack missions). Later, the design was further modified to the Do 17 Z-10 Kauz II, the solid nose now containing an infra-red searchlight for the Spanner Anlage infrared detection system. The infrared in the nose cone was used to illuminate the target while the display unit in the windshield made the reflection visible to the target. The Z-10 was armed with four 7.92 mm (.312 in) MG 17 machine guns grouped above the IR light and two 20 mm MG FF in the lower nose. The crew could reload the 20 mm cannon internally. The Z-10 contained an IR searchlight (Spanner-Anlage) for the Spanner infrared detection system. A single Kauz II was equipped with and tested the Lichtenstein radar. Only ten of these Kauz II designs were converted from existing Z-series airframes. The Spanner system proved to be essentially useless and many Z-10 were left without detection system. At least one Z-10, coded CD+PV, was used as a flying test bed to help developing the Lichtenstein radar system in late 1941-1942. When the Z-10 was stripped of all non-night fighter equipment, it had a maximum weight of 7,300 kg (16,000 lb). Armament fit was similar to that of the Z-7, with an added MG 17 and an additional 1,000 rounds of ammunition in the nose section. Defensive gun positions included the B and C stand, each equipped with a single MG 15. The Do 215 was developed as an export version of the Do 17Z series, and was used as a bomber, reconnaissance and night fighter aircraft. Official figures state 2,139 Do 17s were built on German assembly lines. At the Dornier factory at Oberpfaffenhofen, 328 Do 17Es were built along with a further 77 Do 17Fs and 200 Do 17M variants. Do 17Z production figures for Oberpfaffenhofen stand at 420. At Friedrichshafen, 84 Do 17Ks were built, some of which were sold to the Yugoslav Royal Air Force. Do 17P production was spread out over different factory lines. At Siebel/Halle, eight were built. At the Henschel factory at Berlin-Schx�nefeld 73 were constructed. At the HFB plant in Hamburg 149 were built. Henschel also produced some 320 Do 17Zs, HFB contributed to construction of 74 at its Hamburg plant, and another 73 were built at Siebel. Some 105 examples of the Dornier Do 215B was later built at Oberpfaffenhofen. built. By 19 September 1938, the Luftwaffe had received 579 Dornier Do 17s. These were mostly Do 17E, F, M and P variants. During 1939-1940, some 475 Dornier Do 17Z bombers, 16 reconnaissance aircraft and nine night fighters were built. Another 100 Dornier Do 215s, an updated variant of the Do 17, were built during this period also. Other governments were interested in the Do 17. In June 1936, the Yugloslav government ordered 36 Do 17E variants from Germany. The negotiations for a license were completed on 27 June 1938 for 36 Do 17Ka's at the cost of 1,829,825 Reichsmark (RM). On 18 March 1938, Yugoslavia ordered 16 complete Do 17 Ka-2's and Ka-3's at a cost of 3,316,788 RM. They received the last on 21 April 1939. The machines were from 72-96% complete. The Dorniers were devoid of German equipment, including engines. The Yugoslavs found a French manufacturer to supply the powerplants instead. Gnome et Rhx�ne was the supplier chosen, and the Gnome-Rhx�ne Mistral Major engine was to be used in the Dornier. The French had inflated the performance data of the engine, claiming it to have 649 kW (870 hp) and a speed of 420 km/h (261 mph) at 3,850 m (12,320 ft). The constant-speed propellers were also poor, and delivered late. This lead to trials with Piaggio Aero and Ratier propellers. Only one of the Do 17s delivered was fitted out complete with German equipment. The rest of the Dorniers were equipped with Belgian FN 7.9 mm (.31 in) machine guns, Czech camera equipment and eventually Telefunken radio sets. Altogether, 70 Do 17s were produced by Yugoslav factories. In late 1936, the Do 17 E-1 began to be mass produced. The first Luftwaffe units to be receive the bomber were Kampfgeschwader 153 (KG 153), and KG 155. Aufklx�rungsgruppe (F)/122, a reconnaissance unit, began converting to the Do 17 F-1. In early 1937, KG 255 was formed, also to be equipped with the Do 17 E-1. According to the Generalquartiermeister der Luftwaffe, 479 Do 17s were on strength. Some 100 more had been lost in crashed or sent to Spain. On 12 March 1938, Do 17Es of KG 155 dropped pro-Nazi leaflets on Vienna, as a prelude to the city's occupation during the German Anschluss operation. KG 153 received its first Do 17 E-1s on 20 September 1938 as part of a mass re-equipment program (note the significance of the date). The unit was redesignated KG 3 on 1 May 1939. KG 155 converted on to the type in early 1938. KG 252 was also equipped with the Do 17M, at this time to meet the threat of the Sudeten Crisis. By December 1938, it had 26 Do 17s and 17 crews. On 1 May 1939, the Kampfgeschwader was redesignated Kampfgeschwader 2. The Do 17's baptism of fire came during the Spanish Civil War (1936-39), where it outpaced most enemy fighters and performed well. The Spanish nicknamed the Dornier the Bacalaos ("Codfish"). In early 1937, mass production began on the Do 17E and Do 17F series. The Do 17 F-1 was to replace the Heinkel He 70 as a high-flying fast reconnaissance aircraft, while the Do 17 E-1 was to supplant the Legion Condor's aging Heinkel He 111B bomber. However, more modern Soviet-supplied Republican aircraft were capable of intercepting the E and F variants, which prompted an upgrade of the Dornier's defensive armament. Among the units committed to the Franco's cause was Hauptmann Rudolf Freiherr Von Moreau's 4.K/88. On 6 January 1937, it was decided by Erhard Milch, Albert Kesselring and Ernst Udet that the Legion should have more modern aircraft. Soon 12 Do 17 E-1s, as well as He 111 B-1s and Ju 86 D-1s were dispatched to serve in Spain. The unit was named VB/88 (Versuchsbomben Staffel, meaning Experimental Bomber Squadron). VB/88s Dorniers were involved in a strike around Guernica, but that particular unit's objective was a bridge, rather than civilian areas. VB/88 dropped 8 tonnes (9 tons) of bombs, while K/88 added 37 tonnes (41 tons) over the city itself causing the deaths of about 1,500 people. The bombing of VB/88 straddled the bridge. The only other target hit by the German bombers that day was the rail station. On 8 July 1937, the Dorniers flew multiple sorties to protect Nationalist forces now threatening the capital, Madrid. At this point, the Junkers Ju 86s had been withdrawn and replaced by the Do 17 Fs. In the spring of 1938, another unit, 1.A/88, equipped with Do 17s, also arrived in Spain. A total of 27 Do 17E, F and P variants were part of the Condor Legion. A series of new models introduced the new enlarged nose, greatly increasing defensive firepower, finally settling on the Z models, which were widely available by 1939. During the first phase of World War II, the Do 17, along with the He 111, formed the backbone of the Luftwaffe's Kampfgruppen. From 1939 to 1940, four of the Luftwaffe's bomber groups, KG 2, KG 3, KG 76 and KG 77 operated the Dornier. KG 76 and KG 77 operated the first generation Do 17E, with the other two Kampfgeschwader operating only the Do 17Z on the outbreak of war. On 1 September 1939, 533 Dorniers and 705 Heinkels were combat-ready. The total strength of the Dornier force was approximately 100 Do 17 E-1s, 32 M-1s, 188 Z-1 and Z-2s as well as 213 P-1s. Its reliability and robustness made it highly popular in the Luftwaffe. During the campaign, Do 17s of I./KG 2 took part in the Battle of Bzura, in which they used incendiary bombs against Polish forces consisting of Army Poznań and Army Pomorze. These raids caused a huge number of Polish casualties, who by now had retreated to dense wooded areas, contributing to their vulnerability. The Do 17 had performed well and could use its speed to outrun Polish fighter aircraft. The only Do 17 unit known to have taken part in the Norwegian Campaign was the 1. (F)/120 (Aufklx�rungsgruppe) long-range reconnaissance unit. It operated from Lx�beck/Blankensee, in northern Germany until the occupation of Denmark, and was then based at Stavanger on 10 April 1940, after the Wehrmacht had secured southern Norway. Equipped with the Do 17 P-1, it provided reconnaissance intelligence over the Norwegian coast and the North Sea. The first German aircraft shot down over France during the war was a Dornier Do 17P of 2(F)123, brought down by Pilot Officer Mould's Hawker Hurricane of No. 1 Squadron RAF on 30 October 1939. The Dornier, Wrk Nr. 4414, constructed at Blohm & Voss, crashed near Vassincourt, killing all three of its crew, Hauptmann Balduin von Norman, Oberleutnant Hermann Heisterberg and Feldwebel Friedrich Pfeuffer. On 10 May the Dornier units, Kampfgeschwader 2, KG 3 and KG 4, were under the command of Fliegerkorps. II. Kampfgeschwader 76 and 77 also operated the Do 17 under Fliegerkorps I and Fliegerkorps VIII. The Do 17 saw its usefulness diminish during the French campaign owing to its limited bomb load and range. The design continued to be favoured by the Luftwaffe aircrews, as it was more maneuverable than the He 111 or Ju 88, and because of its ability to perform low-level strikes well. An example of this was a raid carried out by KG 2 against the RAF-controlled airfield at Vraux on 10 May. Six Bristol Blenheims and two Fairey Battles of No. 114 Squadron RAF were destroyed, with many more damaged. However Allied fighter resistance on the first day was severe, and KG 2 and KG 3 of Fliegerkorps II lost a total of 19 Do 17s between them on 10 May. Only two weeks into the campaign, KG 2 and 3 suffered fuel shortages, keeping the Dorniers grounded, and forcing some attacks to be aborted. By the beginning of June, the Dornier Geschwader were encountering less opposition and losses declined sharply, as the Arm�e de l'Air was no longer a sufficient threat. However, over Dunkirk, the RAF fighters inflicted a high loss rate. On 2 June, 30 German aircraft were destroyed, including 16 Do 17s (4 from KG 2 and 12 from KG 3). The Dornier units dropped some 320 tonnes (350 tons) of bombs. Picture - Rudolf Heitsch's Dornier in Castle Farm Shoreham. The flame throwing device is just visible on the aft fuselage. During the Polish campaign, the Do 17Z could use its 427 km/h (265 mph) maximum speed to stay away from most enemy fighters, and its light armament was effective. It also fought with success during the Battle of France and losses were relatively light, although when facing modern fighters like the Hawker Hurricane, the bomber proved slow in comparison and more vulnerable. When it faced British fighters during the Battle of Britain, it was shown that fast, well-armed monoplane fighters had changed the balance between bombers and fighter decidedly in favour of the latter. The Do 17 suffered in early raids. Since the Fafnir was a low-altitude engine, the Luftwaffe responded by employing the Do 17 units in a number of terrain-following mass raids in an attempt to evade fighter opposition. The Dornier was manoeuvrable in comparison to the Heinkel and the more robust nature of radial engines made it ideal for low-level attacks, with a number of units being fitted with 20 mm cannon. The Junkers Ju 88 was now entering service in larger numbers, replacing the Do 17 at higher altitudes. The Dornier excelled at low-level attacks. However, this was becoming more and more dangerous. The British were now firing rocket-powered parachutes into the path of low-flying aircraft and dragging them from the skies. Losses were considerable. Picture - Zehbe's Dornier falling on Victoria Station. 15 September 1940. 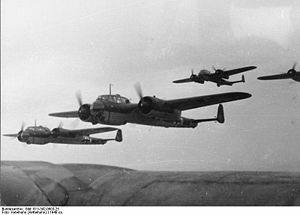 The Dornier's performance advantage at low altitude became moot on 7 September 1940, when the Luftwaffe switched to the bombing of London (known as the Blitz), requiring all-out attacks at medium altitude. Losses mounted and on 15 September 1940, the three Dornier-equipped Kampfgruppen suffered heavily, losing twenty shot down and thirteen damaged. A significant event took place on 15 September 1940, now known as "Battle of Britain Day". Among these was the famous casualty of Dornier Do 17 Z-2 F1+FH Wk Nr.2361 KG 76 flown by Robert Zehbe, part of which crashed into the forecourt of Victoria Station and elicited a congratulatory note from Queen Wilhelmina of the Netherlands who had witnessed the event. In the same action Dornier Do 17 F1+FS, flown by Rudolf Heitsch, was found in a field near Shoreham. The Dornier was found to be fitted with a flamethrower, installed in the tail. Oil, nitrogen, and hydrogen cylinders were found in the fuselage, while the external pipe was fitted with a jet. Initially, it was concluded that it was a smoke producing device to feign damage. But it was discovered that it was a device that was triggered by one of the rear gunners to destroy a fighter pursuing the bomber from line astern. However, the lack of oxygen meant that the device failed to function, and only a continual spray of oil was emitted. The losses for the Do 17 in August and September were considerable. In August 1940, 54 Dorniers were lost and another 20 written off due to technical problems and accidents. In September 50 more were lost, with 31 Do 17s and crews missing in action. In October another 36 Dorniers were lost. Dorniers had improvised armament of eight machine guns installed to increase defensive fire power, but still were unable to counter fighter attacks. 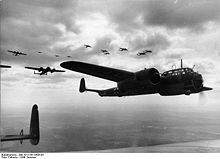 The battle continued into October as the Luftwaffe concentrated on night attacks which were carried out by units mainly equipped with the Heinkel He 111 and Junkers Ju 88, as they had bigger bomb loads, and the Ju 88 had a greater speed. With the introduction of the Junkers Ju 88 and the new Dornier Do 217 entering production, the Do 17's days were numbered, and production ceased in mid-1940. Even with the end of production, the Dornier saw action in notable numbers after the Battle of Britain, in the Balkan Campaign, Operation Barbarossa (the invasion of the Soviet Union), and with the other Axis air forces. Initially, Yugoslavia had been pro-German, and looked set to join the Axis Powers, but a military coup toppled the government and declared itself neutral. Infuriated, Adolf Hitler ordered the conquest of Yugoslavia. The Yugoslavs had ordered twenty Do 17 Ka-2 at the end of 1940. These machines differed from the German Dorniers in that they were powered by French Gnome-Rhx�ne Mistral Major engines and non-German weapons and instruments. In 1940, the Yugoslavs license-built 50 of these variants, but most were destroyed in the campaign. The Luftwaffe committed Luftflotte 4 to the invasion. Included in its strength were KG 2 and KG 3, the only Kampfgruppe in a force of seven equipped with the Do 17. Among the German Kampfgruppen, some 110 Do 17s were committed. The first attacks on Belgrade were undertaken at 0651 in the morning of the 6 April. 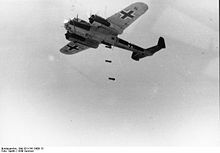 Among the German bombers were 102 Do 17s, carrying 18 SC 50 kg (110 lb) fragmentation bombs, and 2 AB 36 cluster bombs. Some 82 Do 17s remained operational after the first day, with only one reported loss, a KG 3 machine, WNr 2563 5K+DS. The Luftwaffe and its Dorniers would find the aerial situation similar over Greece, with little aerial opposition. KG 2 took part in the Battle of Crete. I./KG 2 lost six Do 17s and seven damaged between 6 April and 31 May. III./KG 2 reported six losses and five damaged in the same period. III./KG 3 also participated in the Greek and Crete assaults. After the successful conclusion of the Balkans campaign, the Luftwaffe prepared for Operation Barbarossa, the invasion of the Soviet Union. By this time, the Kampfgruppen had mostly converted to the Ju 88, and the Do 17 played a minimal part. Only two reconnaissance Staffeln, and three Kampfgruppen employed the Dornier. KG 2 was the only sole fully equipped Luftwaffe wing that operated the Dornier. The Dornier's most notable action on the Eastern front occurred on 23-24 June at Grodno. The commander of the Soviet Western Front, General Armii Dmitriy Pavlov attempted a counterattack against Hermann Hoth's Panzergruppe 3. With air superiority and no air opposition, Dornier Do 17s of III./KG 2 destroyed columns of Soviet infantry. With help from other units, the Luftwaffe claimed to have destroyed 105 Soviet tanks. The Soviet 6th and 11th Mechanised Corps and 6th Cavalry Corps were routed. For his unit's particular effectiveness, the commander of 9./KG 2, Hauptmann Walter Bradel, received the Knight's Cross of the Iron Cross. Picture - A typical Luftwaffe bomber formation; Dorniers using a "stepped up" Echelon formation. The limitations of the Dornier reemerged on the Eastern Front, namely its limited bomb capacity and its range. The vastness of this new theatre meant its usage declined. As 1941 wore on, the Dornier was phased out of the bomber role. Surviving aircraft were used as test beds for new technologies and training schools, while many others were handed off to allied nations over the next two years. Total losses for Kampfgeschwader 2 on the Eastern Front in 1941 indicate three Do 17s lost in June, a further nine lost in July, nine in August, a single Dornier destroyed on the ground in September, three Do 17s in October, for a total of 24 lost in aerial combat and one on the ground. The unit was withdrawn at the end of October to convert to the Junkers Ju 88. The Do 17 continued to see action in other air forces after the mass conversion to the Ju 88 in the Luftwaffe. Fifteen Do 17s serving with Finnish Air Force, at least five (possibly seven) survived the end of hostilities and continued to serve until they were scrapped in 1952. The Dornier Do 17 also operated as a night fighter during the Defense of the Reich campaign until 1944. At least ten 17Z's were converted, one Z-7 and nine Z-10 served for less than two years in the night fighter role, where they were used in Josef Kammhuber's defensive system, known as the Kammhuber Line. They were found by their crews to be inferior compared to the Junkers Ju 88C. The Do 215 was also used in this capacity. Some German night-fighter aces like Helmut Woltersdorf flew the Do 17 and Do 215. All surviving Z-10s were removed from front-line duty in summer 1942. They were either used as airframes to provide spare parts or transferred to night fighter schools. After being withdrawn from combat duties the Do 17s were relegated for use as glider tugs beginning in 1942 where they were used to tow gliders laden with supplies. The First Group of Air Landing Wing (I./Luftlandegeschwader - LLG) 1 arrived too late to support the encircled German troops in the Stalingrad Pocket, but they did help to supply the 17th Army as it retreated into the Kuban in early 1943 with supplies delivered by DFS 230 gliders. Five Do 17s were lost during these operations between 29 January-30 March 1943. During October 1943, the Do 17s of Luftlandegeschwader 1 helped resupply, and partially evacuate the German 17th Army from the Kuban. Some Do 17s were still being used by Schleppgruppen 1 and 2 ("Glider towing unit 1 and 2") in early 1945. On 10 July 1943 I./LLG 1 mustered 52 Do 17s and 136 DFS 230 gliders at its base in L�zignan-Corbix�res, France. On 10 November 1943 it had 36 Do 17s and 195 DFS 230s at its base at Strasbourg, but only 14 and 12 respectively were operational. On 21 July 1944 Do 17s towed two squadrons of I./LLG 1' to land troops on the Vercors Plateau where the French Resistance had declared the Vercors Republic. By 1 September I./LLG 1 had returned to its base at Strasbourg, but had only a strength of 20 Do 17s and was disbanded shortly afterwards. 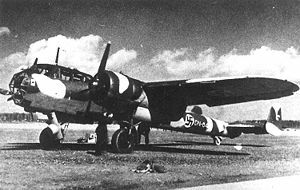 At the beginning of German invasion of Yugoslavia, the Yugoslav Royal Air Force (YRAF) possessed some 60 Dornier Do 17Ks that equipped the 3 vazduhoplovni puk (3rd Bomber Regiment). It was composed of two groups: the 63rd Bomber Group stationed at Petrovac airbase near Skopje and the 64th Bomber Group stationed at Mile�evo airbase near Pri�tina. During hostilities, the aircraft factory in Kraljevo managed to produce three more aircraft. Two were delivered to the YRAF on 10 April and one on 12 April 1941. The Luftwaffe destroyed 26 of these Yugoslav Dorniers in the initial assault. Total Yugoslav losses stood at four destroyed in aerial combat and 45 destroyed on the ground. Between 14 and 15 April, seven Do 17Ks flew to Nik�ić airport and took part in the evacuation of King Petar II and members of the Yugoslav government to Greece. During this operation, the Yugoslav gold reserves were also airlifted to Greece by seven Do 17s. After completing their task, five Do 17Ks were destroyed when Italian aircraft attacked Paramithia airbase in Greece. Only two Do 17Kb-1s escaped destruction and later joined the RAF in Egypt, where they were allocated the serial numbers AX707 and AX706. However, both machines were destroyed in an air attack on 27 August 1941. During this time, it is also recorded that two Dorniers escaped to the Soviet Union. According to other sources 23 Yugoslav Dorniers survived the April battles, and the RAF received a third machine. The Bulgarian Air Force received 11 Do 17 M-1s and P-1s in 1940. After their participation in the Balkans Campaign against Yugoslavia and Greece, the Bulgarians were given 15 captured Yugoslav Do 17Kb-1s. These including spare parts, engines, and landing gear. The Dorniers were assigned to the 1./5. bombardirovicen orlijak (1st Squadron of the 5th Bomber Regiment). In the Bulgarian occupation zones of Yugoslavia, the Do 17s carried out missions against Yugoslav Chetniks and partisans in 1941-44. They also supported Croatian forces in the same role. Another six Do 17Ms were received in 1943. In September 1944, the Bulgarians switched sides and declared war on their former ally, Germany. At this time they had twenty Do 17s of all types assigned to the 1./5. Bomber Group and five Do 17 Ps assigned to 3./1. Reconnaissance Squadron and another four Do 17 Ps assigned to 73. Long-range Reconnaissance Flight. In 71 days of operations against German forces, 32 aircraft (including some Do 17s) in Bulgarian service were lost. In 362 combat sorties, the pilots claimed 173 lorries and motor vehicles, 42 railroad cars, seven armoured vehicles and 10 aircraft destroyed or damaged, but actual German losses were nowhere near this total. The Bulgarians had underestimated the damage done which was "far beyond this [these] figures". With the exception of the Do 17s of 73. Long-range Reconnaissance Flight, the Do 17s didn't fly missions against the Axis after 2 December. As part of their war reparations to Yugoslavia, four Do 17s were delivered by Bulgaria after the war. Their subsequent fate remains unknown. Picture - Croatian Air Force Legion (HZL) aircrew pose in front of their Dornier Do 17Z bomber in recognition of the unit's 1,000th sortie over the Eastern Front, 16th September 1942. The unit returned to Croatia in December 1942. The Independent State of Croatia was formed during the German Invasion of Yugoslavia in April 1941. It formed an air unit called Hrvatska zrakoplovna legija ("Croatian Air Force Legion") on 27 June 1941 for service against the Soviets It had 160 airmen who attended German aviation schools such as Kampffliegerschule 3 on the Baltic to train on the Do 17Z. On 31 October 1941, the unit was assigned to Kampfgeschwader 3 as 10. (kroatisch)/KG 3, with 15 Do 17Zs, on the Eastern Front. The unit did not suffer its first fatalities until 1 December 1941, during the Battle of Moscow. By the time of its withdrawal to Croatia in February/March 1942, the unit was credited with 366 combat sorties, 71 low-level attacks, four villages, 173 buildings, 276 enemy vehicles destroyed and 11 enemy aircraft shot down. Another squadron was sent to the Eastern Front in July 1942, using German-owned Do 17Zs, where they were designated as 15.(kroat. )/KG 53. They were withdrawn to Croatia in November 1942. The number of Do 17s that saw action in Croatian units is hard to determine. Croatian staffeln formed part of German Kampfgeschwader as well as their own independent units and it is uncertain how many, if any, of their aircraft they brought back upon their return to Croatia. In January 1942 11 Do 17Ka's were given to Croatia. A further six Do 17s from Luftwaffe units were promised, but they were never delivered according to one source, but another says that six Do 17Es were delivered in 1942. On 23 September 1942, or in March 1943 another 30 Do 17Es were sold to Croatia and a further 30 were promised but not delivered. In November 1943 another request was agreed for 79 Do 17Zs, but once again the aircraft were never delivered. By December 1943 the 1st and 2nd Croat Bomber Squadrons formed part of the Croatian Air Force Legion and were to expand to a full group in size in February 1944, but it is unclear if this was more than a redesignation on paper. On 30 July 1944, a defecting Do 17Z-5, designation Z8+AH of Kroat. KGr 1, crash-landed at Cerignola, south of Foggia, Italy. Later, in 1944, a Do 17F-1 was captured by Yugoslav partisans and flown into British captivity in Bari, Italy., although this has not been substantiated by later research. One source cites a total of three Do 17s that landed in Allied-occupied Italy; one Do 17Z on 13 July 1944, the Do 17Z-5 mentioned earlier on 30 July 1944, and another Do 17Z on 10 August. In November 1941, Reichsmarschall Hermann Gx�ring decided to give 15 Dornier Do 17Z aircraft to the Finnish Air Force. No. 46 Squadron operated the Dorniers. The Finns used their Do 17 aircraft mainly for night bombing and against "soft" targets at the front, since the aircraft were considered obsolete - the speed and climbing abilities of the Do 17 were deemed inadequate by 1942 standards. Fifteen Do 17s (three Z-1, three Z-2 and nine Z-3) saw service with the Finns. Ten were lost between January 1943 and January 1945, the remaining five were not scrapped until in 1952. (For a full list of the Dorniers used see:Finnish Air Force No. 46 Squadron). Ten Do 17Ms were received in April-May 1942 and were assigned to Escadrila 2 for reconnaissance missions. The Bulgarian Air Force received eleven Do 17 Ms and Ps in 1940 and at least eleven ex-Yugoslav aircraft in 1941. Six more Do 17 Ms were delivered in 1943. They remained in service until at least 1945. Zrakoplovstvo Nezavisne Države Hrvatske received at least 15 Do 17Zs in 1941, eleven ex-Yugoslav Do 17Ka's and either 30 or 36 Do 17Es in 1942. Royal Hungarian Air Force received one ex-Yugoslavian Do 17Ka-3. Regia Aeronautica operated at least one Do 17 under 1� Centro Sperimentale in Guidonia, where it was tested until September 1943. Royal Romanian Air Force received 10 worn Do 17Ms in November 1942. Spanish Air Force received ex-Legion Condor Do 17E, F, and Ps and 13 remained in service after the end of the Spanish Civil War. Swiss Air Force operated a single Do 17Z-2, interned after landing at Basel Airport in April 1940. Royal Air Force pressed into service two Yugoslav-built Do 17K's which escaped Yugoslavia carrying King Peter and gold, The machines were given the serials AX707 and 707. Both aircraft were destroyed in an air attack on Ismax�lia airfield on 27 August 1941. United States Army Air Force operated at least one Do 17E-1, WkNr 2095. Renamed Axis Sally, it was taken to the United States after the war and tested. Up until recently, none of the Dornier twin-engined bomber variants were thought to have survived. In September 2007, a Do 215 B-5 (variant of Do 17Z) was found largely intact in the shallow waters off Waddenzee in the Netherlands. Various large relics of the Do 17 and Do 215 are held by public museums and private collectors. On 3 September 2010, it was announced that a Do 17 had been discovered in 50 ft (15 m) of water off the coast of England. The aircraft had been discovered on the Goodwin Sands of Kent in September 2008 but was a closely guarded secret. The Dornier Do 17Z-2 WrkNr 1160 was operated by 7 Staffel, III Gruppe, Kampfgeschwader 3. It was part of a KG 2 and 3 raid to bomb RAF Debden and RAF Hornchurch on 26 August 1940. It crash-landed during the raid. In June 2010 diving operations were made. The report indicated the aircraft is largely complete, although the port rudder, starboard stabiliser, forward nose glazing, undercarriage doors and engine cowling are missing. The Royal Air Force Museum is planning to raise the wreck in the Spring, 2011. Action is underway to prevent any further damage to the Dornier. It will be restored at RAF Cosford, and prepared for display at Hendon Museum. 4 x� 250 kg (551 lb) bombs internally However, fully loaded, the Do 17 Z-2 had a "operational range" of only 200 miles (320 km). Axworthy, Mark, Cornel Scafes and Cristian Craciunoiu. Third Axis, Fourth Ally: Romanian Armed Forces in the European War, 1941-1945. London: Arms and Armour Press, 1995. ISBN 1-85409-267-7. Bergstrx�m, Christer. Barbarossa - The Air Battle: July-December 1941. London: Chervron/Ian Allen, 2007. ISBN 978-1-85780-270-2. Ciglic, Boris and Dragan Savic. Dornier Do 17 - The Yugoslav Story: Operational Record 1937-1947. Belgrade: Jeroplan Books, 2007. ISBN 978-8-69097270-8. Green, William and Gordon Swanborough. "The Annals of the 'Pencil': The Story of the First-Generation Dornier Do 17". Air Enthusiast. Issue 30, March-June 1986. Bromley, Kent, UK: Pilot Press, pp. 38-53. ISSN 0143-5450. Griehl, Manfred. Dornier Do 17E-Z, Do 215B; The Flying Pencil in Luftwaffe Service. World War Two Combat Aircraft Archive No. 03. Air Coc, Erlangen, Germany, 2005. ISBN 3-935687-42-7. Hooton, E.R. Luftwaffe at War; Gathering Storm 1933-39: Volume 1. London: Chervron/Ian Allen, 2007. ISBN 978-1-903223-71-7. Hooton, E.R. Luftwaffe at War; Blitzkrieg in the West: Volume 2. London: Chervron/Ian Allen, 2007. ISBN 978-1-85780-272-6. Keskinen, Kalevi and Kari Stenman. Suomen Ilmavoimien historia 2: Dornier Do 17Z, Junkers Ju 88A-4. Hobby-Kustannus Oy, 1999. ISBN 952-5334-01-5. March, Daniel J. British Warplanes of World War II. London: Aerospace Publishing. 1998. ISBN 1-874023-92-1. Nedyalkov, Dimitar. Air Power of the Kingdom of Bulgaria. Volume IV. FARK OOD, Sofia, 2001. ISBN 978-9549669794. Neulen, Hans Werner. In the Skies of Europe: Air Forces Allied to the Luftwaffe 1939-1945. London: Crowood, 2000 ISBN 1-86126-326-0. Schlaug, Georg. Die deutschen Lastensegler Verbx�nde 1937-1945. Stuttgart: Motorbuch, 1985. ISBN 3-613-01065-8.